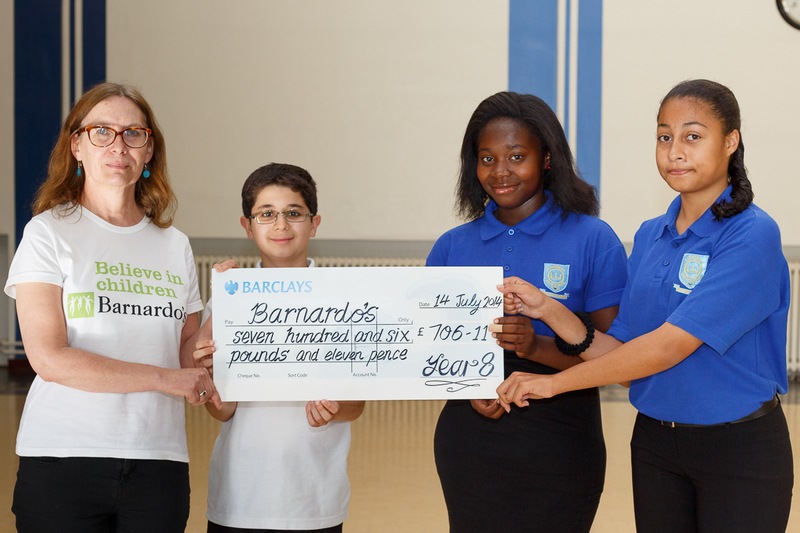 On Monday 14th July, Janet Meredith, Community Fundraising Volunteer Manager at Barnardo’s visited the school to receive a cheque for £706.11. The money was raised periodically throughout the year by Year 8 students through sponsored silences, a non-uniform day and a cake sale. On Tuesday 15th July the Sixth Form maintained its tradition of welcoming high achieving Year 11 students back from study leave to deliver a varied, informative and inspiring Russell Group Day event. Members of the Sixth Form team were ably supported on the day by a strong team of current students, the award-winning Young Enterprise team and a highly successful former student, Binda Bhudia, representing the Pure Potential organisation. With talks on opportunities, preparation for Higher Education and looking ahead to the UCAS process, Year 11 students were able to ask questions and talk to the students informally about their experiences. 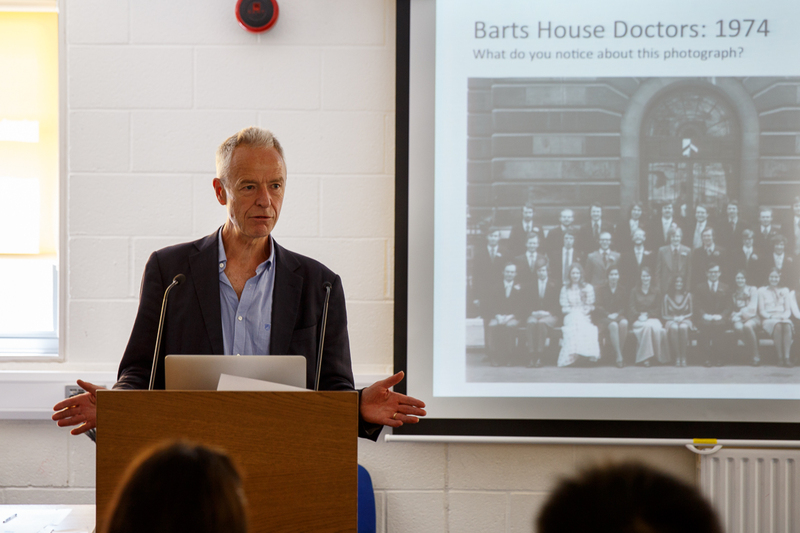 The highlight of the day was a visit from Adam Timmis, MD FRCP, Professor of Clinical Cardiology (NIHR Biomedical Research Unit, Barts and the London School of Medicine and Dentistry, London Chest Hospital) who talked to around 45 students about Medical Careers and answered a series of interesting questions. It is hoped that this event helps set the tone for the new Year 12; the other part of that jigsaw will be the Alumni Day on Friday 5th September 2014. Kingsbury High School is delighted to announce that we have been accredited with Gold Club member status as part of the London Schools’ Gold Club scheme. 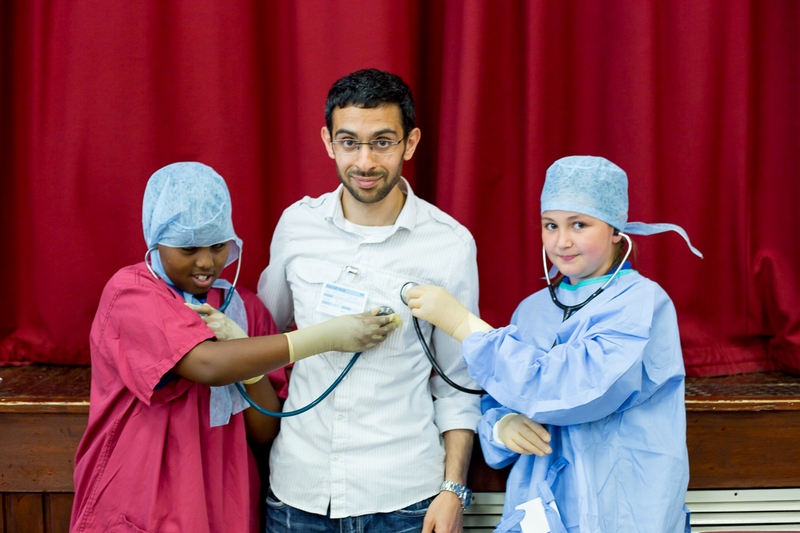 The scheme champions these exceptional London schools with a Mayoral Award for 2013, works with them to identify what has made the difference for their school and helps them share this practice and their experience with other London schools. 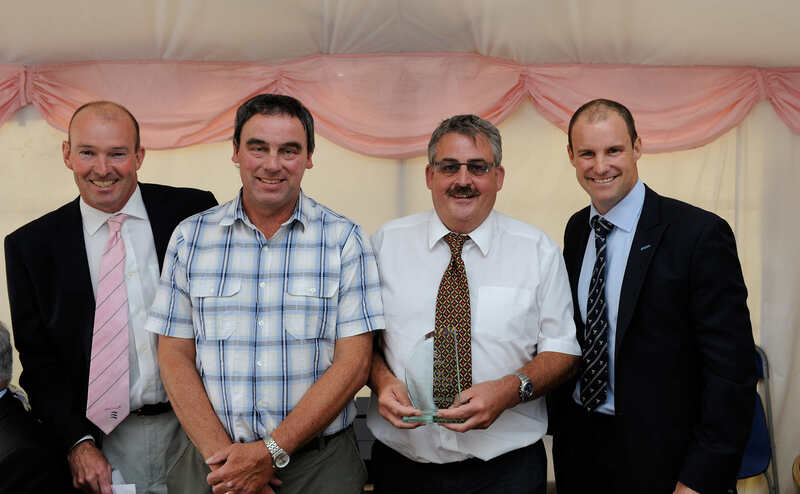 Kingsbury High School was recognised by the Middlesex Cricket Board at the annual Outstanding Service to Cricket Awards this year. Mr Knox and, former Physical Education teacher, Mr Birnie represented the school to collect the award ‘Chance to Shine Secondary School Hub of the Year’.